We are not sure where to start when it comes to describing Andrew Young. He’s a busy man who’s working on a number of different things and often has a seemingly endless list of other projects in the pipeline. By day, Young is the co-founder of the NYC startup SWILL, a delivery service for alcohol, which alone makes him awesome. 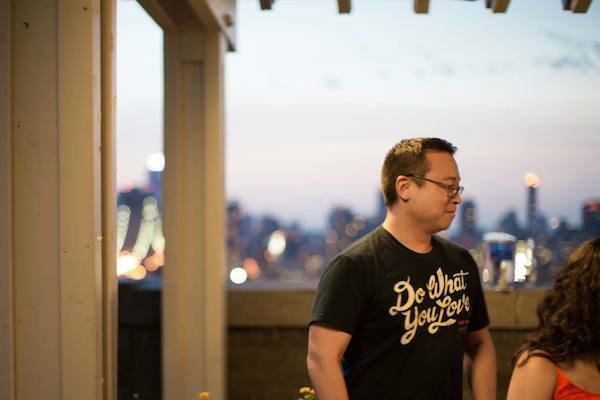 Aside from his responsibilities at Swill, Andrew is a staple on the startup event circuit and is the lead organizer for the various Startup Weekends in NYC and is a global facilitator representing this great city. He’s also teaming up with OS Fashion’s Pavan Bahl to launch a global Startup Weekend Fashion battle, with competitions in New York, London, Milan and Paris. Young is also an ambassador for WeWork and leads the NYC Reddit Meeetup. Young can often be found letting loose in a banana suit that is now his signature and has become a part of the NYC startup culture. And that alone is awesome.